What Does It Mean If You Support #PicturesMeanBusiness? It means you believe illustration (and cover design) contributes to people’s decisions to buy books. It means you respect the profession of illustration as a proper skilled profession and not some cute little hobby. It means you think top-quality illustrators should be able to make a living from their work. It means you recognise that illustrators are significantly disadvantaged by quirks in the publishing world. EVERYONE in the industry would benefit if this was properly addressed! It means you think it’s unfair that illustrators are often ignored and not mentioned in reviews, lists and media, and that it has to stop. ACHUKA says a resounding YES to all of that. The cover for Angie Thomas’s acclaimed Black Lives Matter–inspired novel, The Hate U Give, began, fittingly, as a piece of protest art. Back in 2015, Debra Cartwright, the artist who made the illustration, was sitting at her desk at People magazine in Times Square while a protest over the death of Freddie Gray took place on the street below. Unable to knock off work to join in, Cartwright did the next best thing: She sketched an illustration on Photoshop of a woman holding up a protest sign. Only her puff of curly hair is visible above the edge of a poster with the words “End Police Terror.” The piece went viral, and eventually, Angie Thomas saw it on Instagram and suggested it to her publisher as cover material. Last week, the official poster for the movie adaptation, due out in October, was released online; the poster is closely modeled on Cartwright’s work. via The Hate U Give Book Cover Vs the Movie Poster. The Carmelite Pircture Book Prize 2018 (established in 2016 and organised by Hachette Children’s Group) has been won by Riko Sekiguchi. For this year’s prize, students of illustration were asked to create two colour spreads for Peter Bently’s Where the Sea Meets the Sky, a rhyming story about a sea otter. Sekiguchi, a student at Falmouth University, receives £1,000 and Hodder Children’s Books, an imprint of HCG, will give consideration publishing her work with Bently’s text. The second prize (of £500) was won by Andy Ellis from Norwich University of the Arts and Robin Mommers from Leeds Arts University won the third prize of £250. Luke Broadley from Norwich University of the Arts and Pui Jo Ng from University of Hertfordshire were both highly commended. 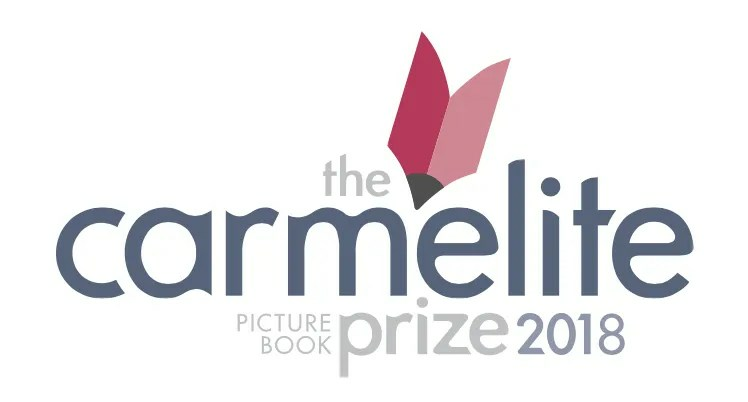 The work of the first Carmelite Prize winner, Mark Nicholas, (illustrations for The Story of Tantrum O’Furrily written by Cressida Cowell) has just been published, and Free-range Freddy by Rachel Bright, illustrated by last year’s winner, Isobel Evans, will be published next year. Finishing the Ruby Redfort series has transformed my day. It was a six-book contract, one book of 100,000 words a year. I realise now how much I missed illustrating. It’s so much more sociable. On days when I give talks at schools or events I wear a suit — if I can find one the moths haven’t eaten. Children are brilliant natural artists. They love to draw, paint, make a mess and invent, but it all gets squashed out of them in the pursuit of exams and qualifications. Ideas come when you have space to stare out of the window and let your brain wander freely. Becoming children’s laureate has given me a voice. I’m determined to change the snobby attitude around picture books. Children’s illustration is viewed as the poor relation to fine-art painting, yet it’s children’s first introduction to art and can have a profound effect on how they view the world. John Burningham’s Granpa, which deals with the loss of a loved one, explains grief to a child far better than anything else.